This year’s Annual Luncheon & Member/ Associate Member Expo was our largest ever. With 300 people in attendance, 26 expo booths and 24 certificate recipients all at the spectacular Grandview in Poughkeepsie, it was an event to remember. E.J. Mc Mahon from The Empire Center for Public Policy presented those in attendance with a lot to think about relating to the 2019 New York State legislative session, budget, and the new federal tax law. This event was made possible thanks to the following generous sponsors: Allendale Machinery Systems; Bleakley Platt & Schmidt, LLP; The Chazen Companies; Fair-Rite Products Corp.; M & T Bank; Package Pavement; Think Dutchess Alliance or Business. The Expo was a great mix of manufacturers and the companies that offer products and services to support them. Allendale Machinery Systems brought a robot that played chess and a 3D printer that printed the chess pieces. 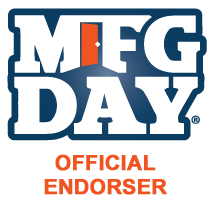 There were tables with packaging, printing, testing, HVAC, compressed air, carbon and graphite machine parts, high speed internet, restoration specialists, janitorial supplies and a variety of accounting, law, and banking professionals and many more. The Luncheon was kicked off with a Council of Industry year in review slide show presented by Harold King, CI President. Following this recap Virginia Stoeffel, Dean of Community Services & Special Programs at Dutchess Community College and Rebecca Mazin, Recruit Right and Leadership Instructor assisted Alison Butler, CI Director of Member Programs & Services in presenting the recipients with their Certificate in Manufacturing Leadership. 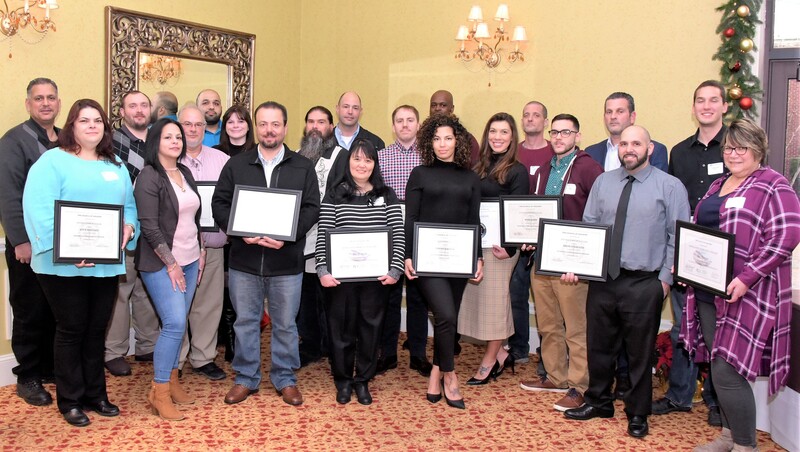 In 2018, the Council ran this supervisor training at DCC and Rockland Community College, with a total of 32 people completing the program, 24 of whom were at the luncheon. After the lunch, E.J. McMahon, Founder and Research Director for The Empire Center addressed the crowd with his insight regarding the changes that will take place at the state government level in 2019 and what impact they may have economically. McMahon looked at the employment growth in New York State comparing upstate vs. downstate, migration trends which show a net domestic loss of over 1 million people since 2010 and Governor Cuomo’s budget for 2019. McMahon also explained how the Tax Cuts & Jobs Act will change income taxes and how the Employer Compensation Expensive Tax would affect companies in New York State. The event drew to a close with reminders that there is still time to register for the 2019 Certificate in Manufacturing Leadership at Dutchess Community College and one more thank you to the sponsors: Allendale Machinery Systems; Bleakley Platt & Schmidt, LLP; The Chazen Companies; Fair-Rite Products Corp.; M & T Bank; Package Pavement; Think Dutchess. This entry was posted in CI News, Reserved and tagged 12.20.18, Certificate in Manufacturing Leadership, events, Luncheon. Bookmark the permalink.